Are you wondering how to create an outstanding Company Profile that will win more business? You’re not alone! It’s a process I’ve often been asked about in my career as a professional writer. You may already have a Company Profile, but perhaps it’s not getting the response you require. Or maybe you’re at the starting gates, ready to write and wondering what makes an outstanding Company Profile? Many of my clients have asked what the perfect Company Profile should contain and the best format to use. 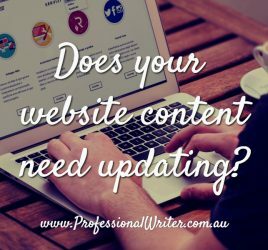 The short answer is: There is NO perfect content or format – only the content and format which is ideal for YOUR CLIENTS. If the profile doesn’t appeal directly to your target audience, you’re wasting your time. The best and most outstanding Company Profiles are always client-focused. Sadly, too many companies write their profile from their own perspective and make assumptions about what the reader wants to know. Sometimes these assumptions are correct, but what if they’re wrong? It’s important to establish your target audience before you start the process of writing. Exactly who are you aiming the document toward? Who are your clients? What is their level of education? The answers to these questions will determine the type of information you need to include and the tone and language you use. What do your clients want to know about your business? When it comes to your products and services, what do they need to know? What are the primary influences in their buying decision? The best people to ask these questions are … your clients! Do a brief survey. Tell them you’re writing a new, client-focused Company Profile and you’d like their input. If you’ve already been in business for a while, check your clients’ most frequently asked questions – they will tell you the information people are looking for. Please don’t just write a boring Company History. While your story is important, it needs to be brief and interesting. Basically, the reader doesn’t really need to know about your business until you’ve convinced them you can help them first. To do that, you need to outline what you offer them. How do you help clients? It’s more than just your products or services, it’s how you detail their problem and the solution you offer. What problem do you solve for them? After you’ve offered a viable solution, you can then tell some of your story. Readers often want to know how the business started, who founded the company and why. They also want to know what you’re good at, and what your mission and values are. Often a purchase decision will be made when their values align with those of your business. You also need to provide some details of your products and services, the industries and sectors you serve, any qualifications your team possesses, specialist training and the geographic area you cover. 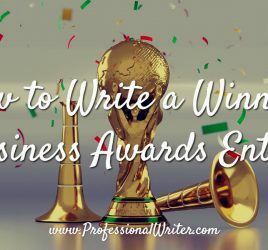 While you obviously don’t want to mention your competition directly, you do need to consider them when writing your Company Profile. Let’s say you’re submitting a tender for a project you wish to secure. The reader will be looking at your competitor’s information as well as yours, so you need to have a more compelling story which shows you are the number one choice. Consider your organisation’s strengths. What do you do best? 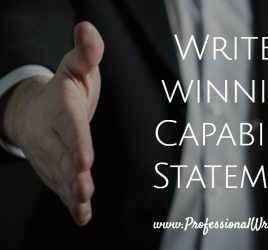 Demonstrate how and why you’re the best, don’t just make empty statements – anyone can say they’re the best, you have to show how you’re the best. What’s your point of difference, your Unique Selling Proposition? Why would a client choose your business over your competitors? Again, you need to provide details and demonstrate how you’re better or different. Testimonials and case studies are sometimes used to reinforce these points. So, how can you produce an outstanding Company Profile that will win more business? Make it client-focused. This may seem counter-intuitive, after all it’s YOUR company profile, but believe me, it works. Hi, I’m Lyndall Guinery-Smith, The Professional Writer, and an experienced Company Profile writer. I have a strong background in small business management and actually enjoy writing an engaging Company Profile for my clients … as crazy as that sounds!. Yes, I ask a lot of questions! Rest assured, I will work with you to create an engaging Company Profile your clients will want to read. 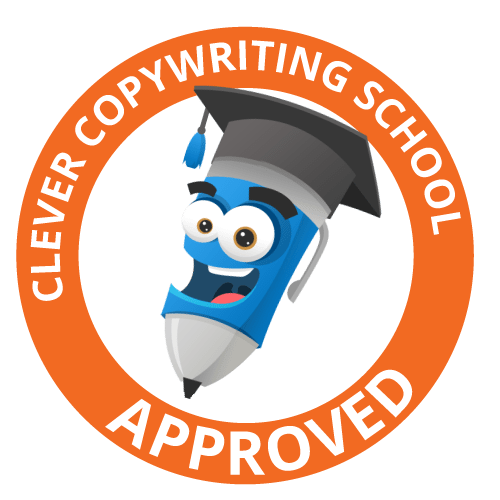 I love to write copy dedicated to attracting and engaging your clients, and improving your bottom line. I happily work with clients all around Australia. Email me to arrange an obligation-free discussion about your latest project.